Samsung have uploaded some interesting footage onto you tube this month. 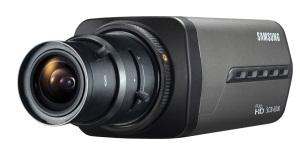 We are not quite sure of their agenda or whether this camera can be linked into any HD SDI product. However what it does demonstrate is that HD SDI CCTV is now being considered by even the biggest manufacturers out there. This opens up a world of possibility for anyone involved in HD SDI DVR products or cameras mainly because of the effect mass production will do to the price. It seems that for a corporation as large as Samsung to be interested in spending large sums of money on developing an HD SDI camera of this quality very soon a whole new world of HDCCTV is going to open up. We look forward to seeing the Samsung HD SDI DVR at IFSEC 2012. This entry was posted on Monday, January 9th, 2012 at 17:58	and is filed under Uncategorized. You can follow any responses to this entry through the RSS 2.0 feed. You can leave a response, or trackback from your own site.